Newly orphaned will Braddock doesn't want some old judge dictating his future, so the fourteen-year-old embarks upon a quest to determine his own destiny. He heads west to find his uncle, a surveyor on the first transcontinental railroad, and persuade his only living relative not to sign the judge's papers sentencing him to a blacksmith apprenticeship. Will wants to be free to ride across the windswept prairies and through the forested mountains. He wants to be a part of the excitement of building the Union Pacific Railroad. But with such freedom come grave risks, and Will finds he must rely on his own wits and courage to make his way in the dangerous West. “Engaging action and vivid detail make the far-ranging adventures of Robert Lee Murphy’s likeable young protagonist reminiscent of Mark Twain’s Huck Finn.” Lucia St. Clair Robson, Spur Award–winning author of Light a Distant Fire. 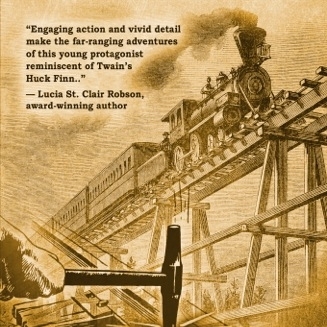 "When his mother dies, 14-year-old Will Braddock is apprenticed to a blacksmith, pending the approval of his uncle, Sean Corcoran, who is the Union Pacific's chief surveyor, busily plotting the railroad's course through Nebraska and Wyoming. Will is determined to find his uncle before he can approve the indenture, and he encounters many adventures on his way . . . [Murphy's] research is impeccable, and his wholesome young hero makes Eagle Talons, the first entry of a trilogy, engaging reading . . ."Booklist. 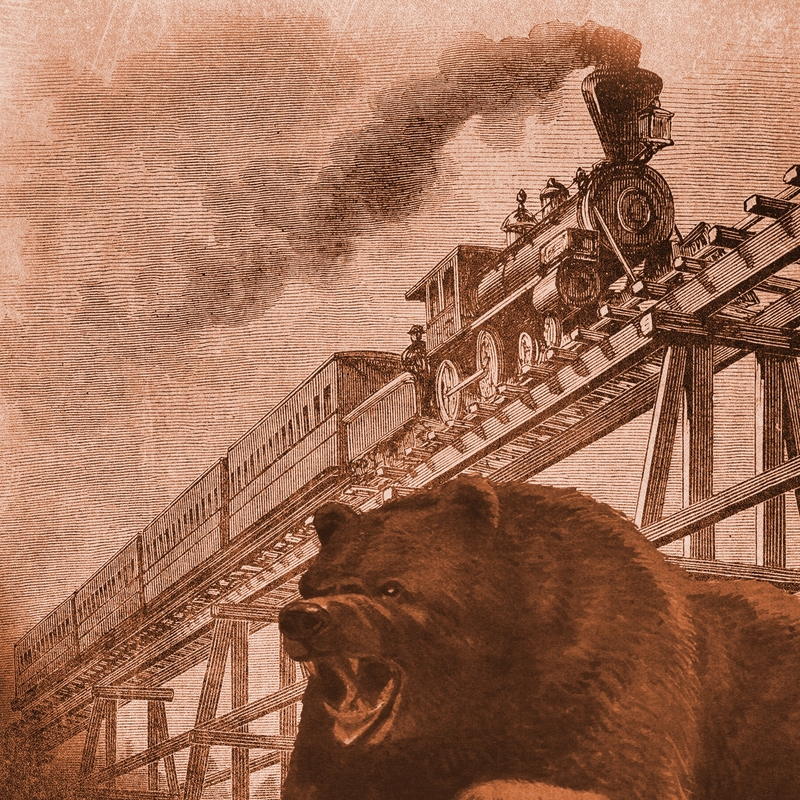 "Robert Murphy's debut novel, the first in a series chronicling the building of the Union Pacific Railroad, shows just how enjoyable a well-researched story can be. Murphy displays a keen eye for detail in his descriptions of the land, the rowdiness of the various railroad towns, and in his characters. This action-packed coming-of-age tale, set primarily in southeastern Wyoming, is a fine read for young and old alike." Michael Zimmer, author of The Poacher's Daughter. 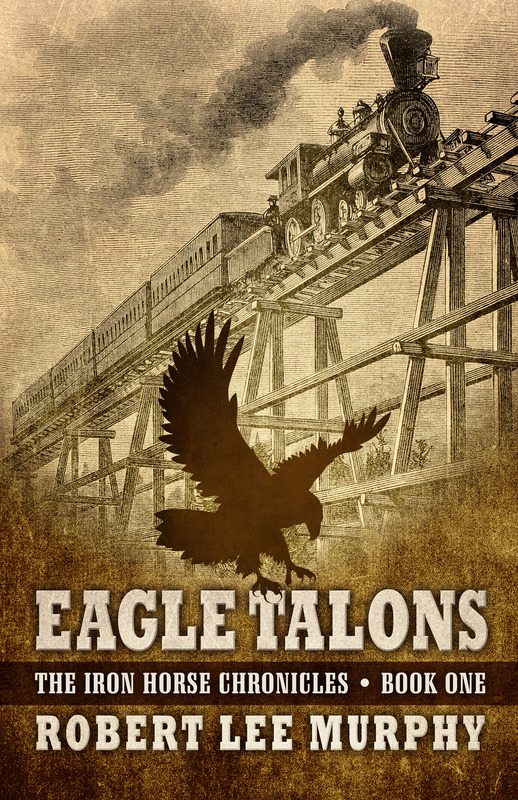 Eagle Talons, The Iron Horse Chronicles--Book One, won the 2015 Bronze Will Rogers Medallion Award.